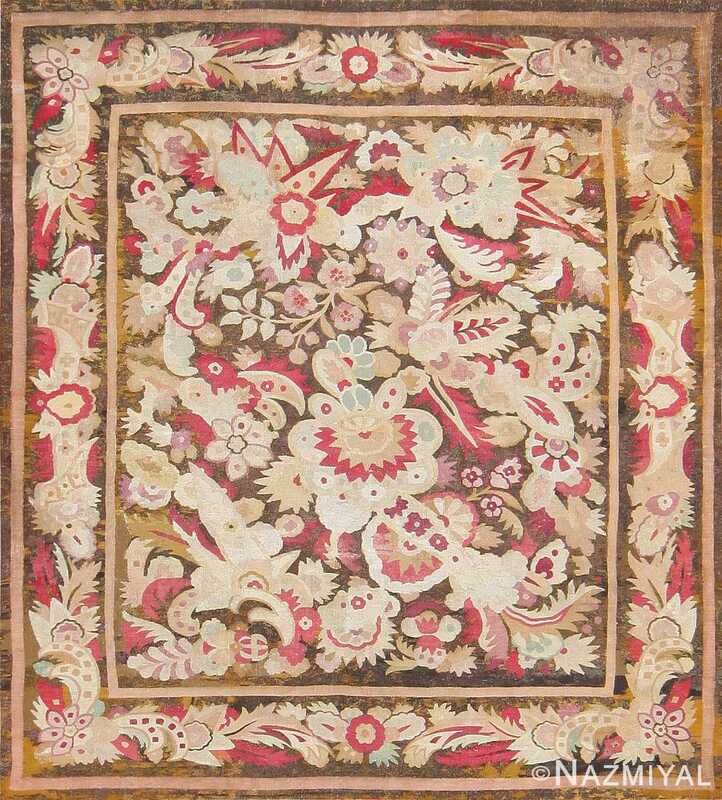 Antique Large Scale Design French Aubusson Carpet 47526, Country of Origin / Rug Type: French Rugs, Circa Date: 1850 – This exquisite Aubusson rug combines light and airy colors with vibrant textures to create a plush surface that has as much practical appeal as it does decorative. The same common motif is echoed throughout the masterpiece, starting around the single border the French rug, which is divided according to the presence of beige and gold lines. 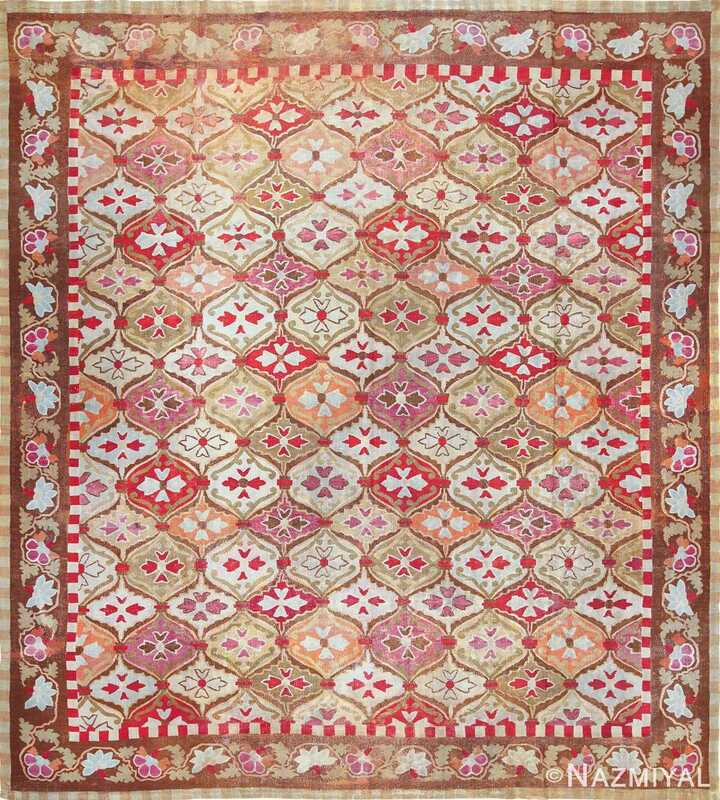 The floral patterns are arranged tightly around each other, as if signifying a larger pile of common elements. 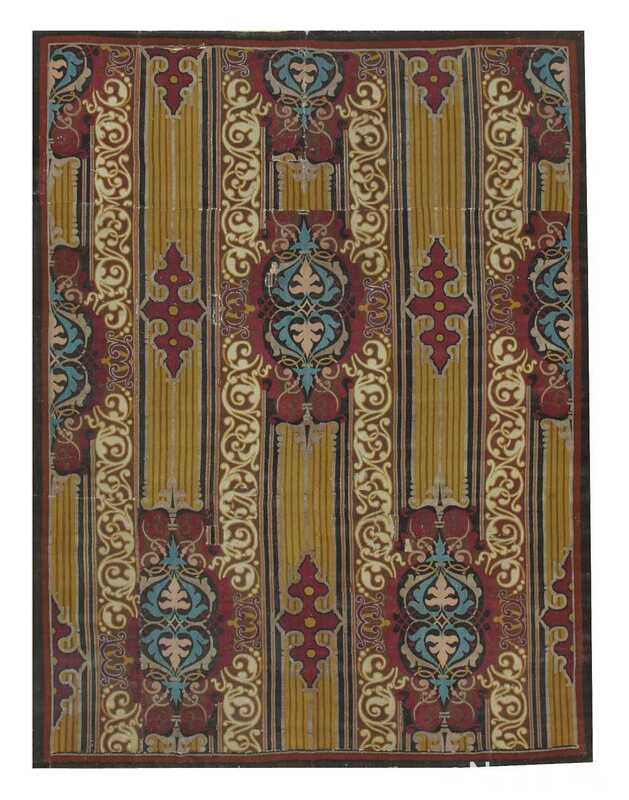 Olive green, deep magenta and gentle beige tones all come together to define the foreground of the antique rug.